You've got a crush on the little-red haired girl in class, but you just don't know how to get her attention. Your baseball skills might not do it. Kicking a football is completely out of the question. Your dog might do it, but he's such a showboat that he might just steal your thunder. 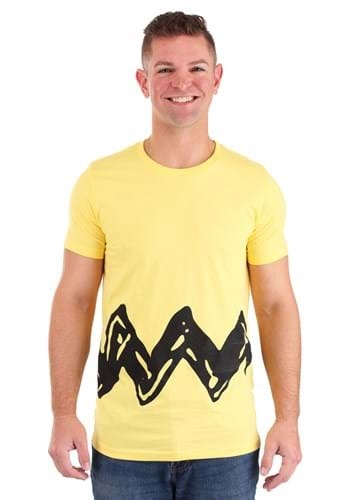 We suggest wearing this I Am Charlie Brown Mens Shirt. It's bright yellow, with a zig-zag stripe, so she's bound to notice you! If that doesn't work, we hear that Joe Cool has a few suggestions for you! Do you have a secret crush on the Red-Haired girl? Trying to get her attention? Nothing gets anyone's attention better than a bright yellow shirt! This Charlie Brown Polo Shirt is like the signature Peanuts character's shirt, complete with bright yellow and the zig-zag strip he's known for. We think it will get the Red-Haired girl's attention. Chuck's not smooth with the ladies. His baseball team almost never wins and he's kind of gullible (stop trying to kick the ball when Lucy asks for crying out loud)! He never gives up though and for that, he's one of our heroes! 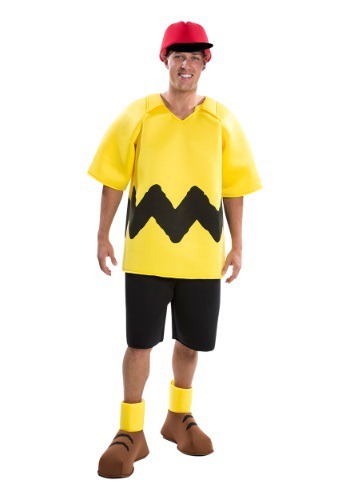 This Peanuts Adult Charlie Brown Costume lets you look just like the Charles Schulz character, so you can channel your inner Chuck any time! Get out the old psychiatric booth because Lucy is ready to tell you all of your problems! Aren't you lucky? You'd better be ready to pretend to bully your little playmates (especially poor Charlie Brown) when you're dressed as the one and only Lucy Van Pelt. Oh, you also should be prepared to be totally self obsessed and bossy in the event that you cross paths with Schroeder. There's no one that rocks Saddle shoes like Lucy so you have to show off those shoes. You're not a conventional type of guy. Your two best friends are a bald kid and a bird. You prefer to take a nap on top of your dog house. Sometimes, you hang around with sunglasses under the alias of Joe Cool. You're ready for this Peanuts Adult Snoopy Costume! Based on the Charles Schulz character, it will have you looking just like Charlie Brown's crazy beagle!